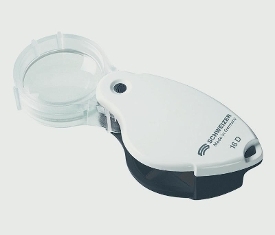 A pocket magnifying glass is ideal if you need magnification in a small design to use on the go. 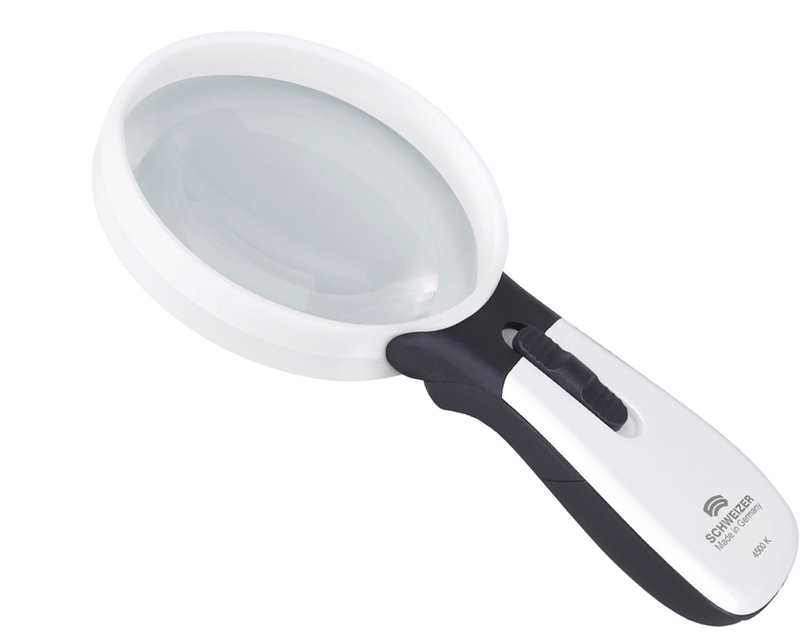 A pocket magnifying glass can be folded in, so it does not take up a lot of space when you do not need to use it. 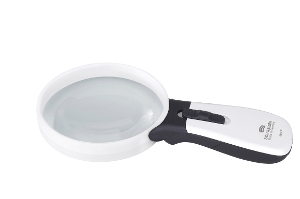 These magnifying glasses are designed to fit in your pocket, so you can read anytime, anywhere. 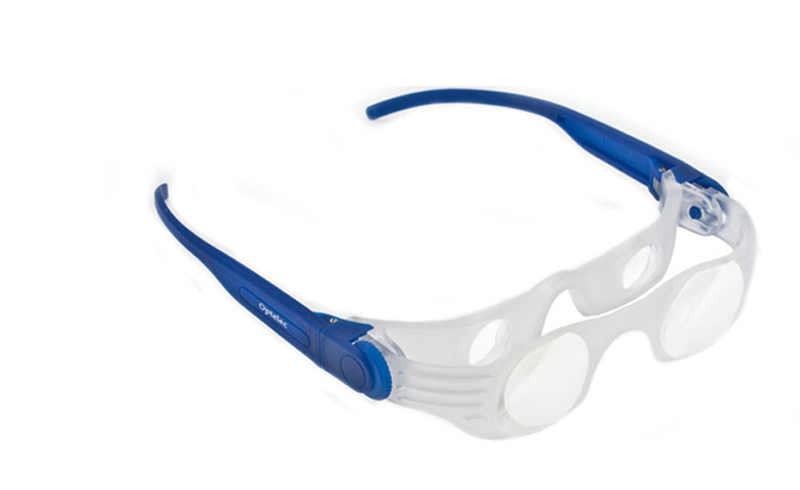 TV magnifying glasses such as the Optelec Power Television Glasses, are designed to enlarge the appearance of objects at a distance. 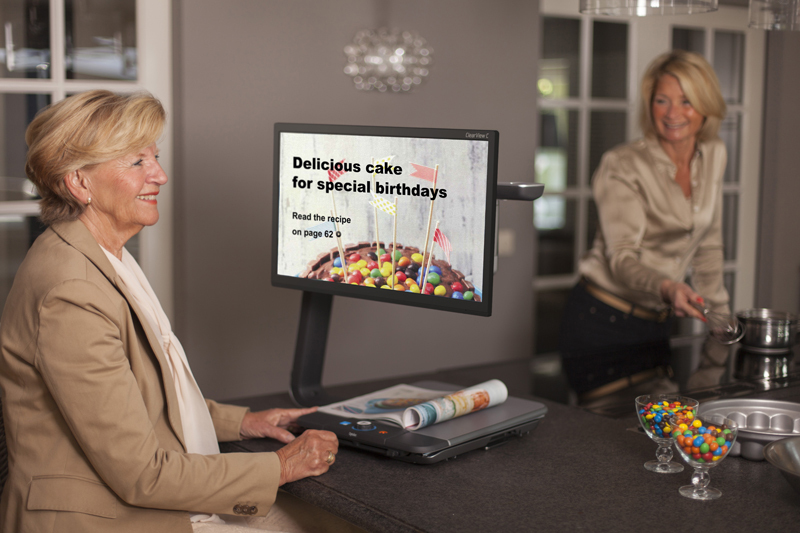 Using a binocular telescope system, they assist visually impaired people with watching television programmes, films, theatre and sporting events. 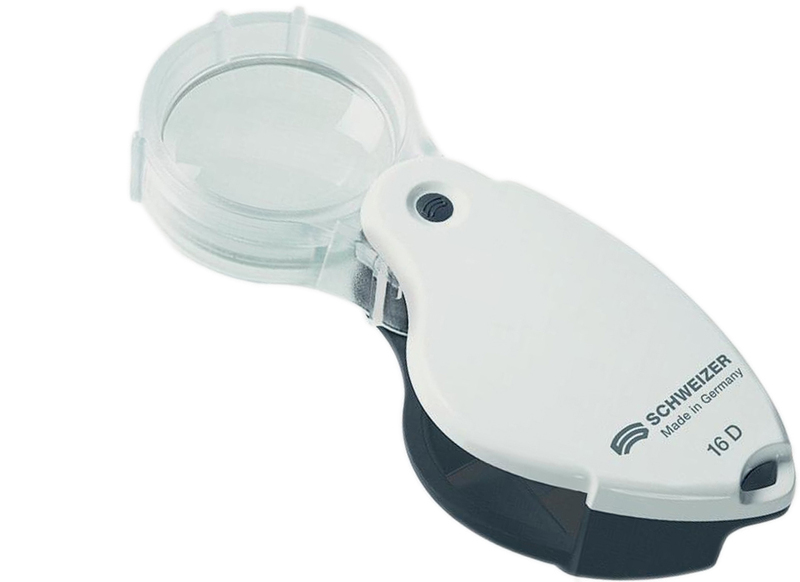 The needlework magnifying glass is a hands-free magnifying glass that is ideal for those who wish to continue to enjoy practical pastimes, such as stamp collecting, craft and needlework. 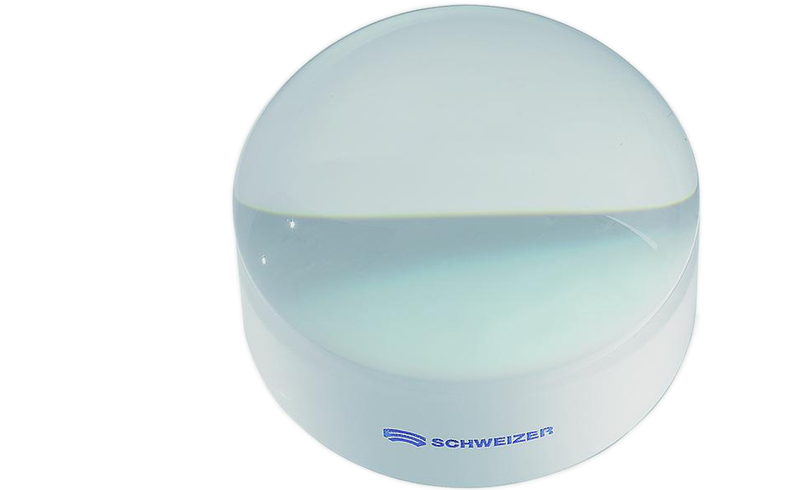 Made from transparent acrylic, this handy, lightweight magnifying glass offers a larger lens for a greater overview, and a more powerful inset lens for more detailed work. 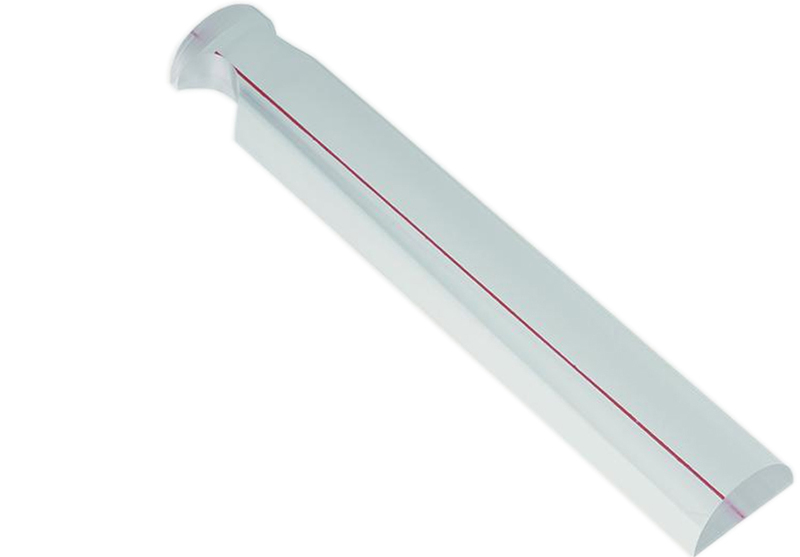 It can be difficult to choose the right level of magnification. Would you like to get some personal advice? Contact our friendly specialists by means of the contact form or give us a call on Freephone 080 8090 8090. 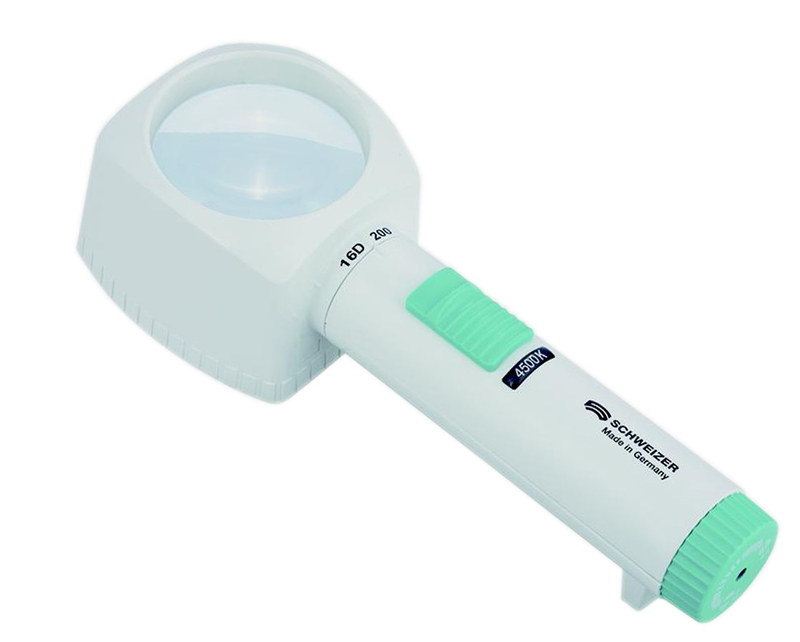 If you want to buy a magnifying glass, you can place an order in our webshop, or call us on Freephone 080 8090 8090. Can I try out a magnifying glass? Of course you can! You can try out a magnifying glass at home if you buy a magnifying glass on a 14-day money back guarantee. 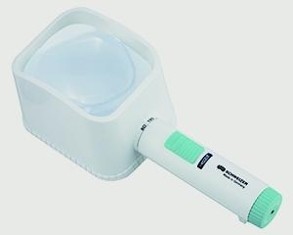 If it does not meet your needs or if you need a different level of magnification, you can exchange or return it post-free within 14 days.